We’ve been putting forth possible trade deadline targets and hypothetical deals for a week now, so it’s about time we also start covering the rumors going on with those players. For now, the Dodgers don’t appear to be hunting to do anything that could upset the team chemistry, instead focusing on pen upgrades. Specifically, lefty relief seems to be the Dodgers’ priority, and Andy McCullough of the Los Angeles Times says Zach Britton and Justin Wilson are on their radar. The Dodgers remain in the mix for Zach Britton and Justin Wilson, according to people familiar with the situation. Jerry Crasnick of ESPN also mentions Britton, but adds that the Dodgers are wondering if he’s actually available and whether he’s truly healthy. They have a legitimate interest in Baltimore reliever Zach Britton, and they think he’s capable of teaming with closer Kenley Jansen to bring a 2014-15 Wade Davis–Greg Holland Kansas City Royals dynamic to Chavez Ravine. But the Dodgers are skeptical that Orioles owner Peter Angelos will sign off on a trade for Britton, and they’re unsure if he’s ready for the grind of high-leverage appearances after missing two months with a forearm strain. 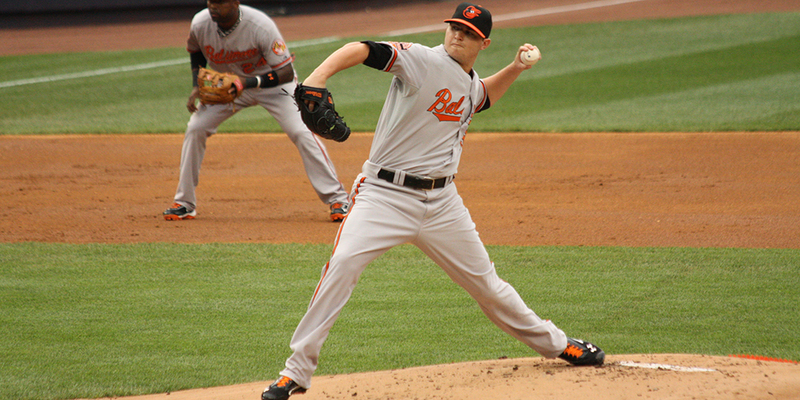 Britton has yet to pitch consecutive days since his return from the disabled list July 5. Perhaps corroborating the news is a report by Dan Connolly of Baltimore Baseball that an Orioles’ top assistant is scouting the Dodgers’ AAA affiliate. So the interest in Britton seems legit, even if the Dodgers are a bit cautious, and we looked at what kind of package it might take to get Britton earlier (assuming he’s healthy). Well, according to Crasnick, the Dodgers are reluctant to part with not only Walker Buehler and Alex Verdugo, but Yadier Alvarez as well. The Dodgers have told potential trade partners they’re extremely hesitant to part with minor league outfielder Alex Verdugo and pitchers Walker Buehler and Yadier Alvarez. It might be a reach to classify those three prospects as “untouchable,” but they’re the closest thing the Dodgers have to the hallowed ground occupied by Corey Seager, Cody Bellinger and Julio Urias in recent years. Ken Rosenthal of FOX Sports also said the Dodgers are reluctant to part with prospects from upper levels. With this in mind, perhaps a more realistic trade would be something like Willie Calhoun, Dustin May, Starling Heredia, and Imani Abdullah, though if I’m the Orioles I’m not sure if I would be content with not getting one of the Dodgers’ top three guys. In related news, Baseball America released their Midseason Top 10 for the Dodgers, and the top three are the three supposed untouchables. Buehler’s meteoric rise has been one of the season’s main storylines, having gone from undersized injury risk to earning true No. 1 starter grades from some evaluators. Buehler had Tommy John surgery in 2015 shortly after the Dodgers drafted him in the first round and he pitched only five innings in 2016. He has returned this year firing 96-99 mph fastballs, a present plus curveball, a future plus slider and a usable changeup he can throw for strikes. Overall Buehler went 2-2, 2.89 with 90 strikeouts and 21 walks in 65.1 innings between high Class A and Double-A before earning the bump to Triple-A. Verdugo showed an advanced feel to hit beyond his years with Team Mexico at the World Baseball Classic and has continued in Triple-A. His status as a potential high-average, everyday-caliber center fielder remains intact, although the lack of loft in his swing has produced only three home runs and thrown his power potential into question. Alvarez throws 95-99 mph fastballs with remarkable ease, but his lack of fastball command or reliable secondaries has resulted in a 5.31 ERA and more than a hit allowed per inning. Rancho Cucamonga pitching coach Kip Wells recently adjusted Alvarez’s grip on his four-seam fastball to prevent it from cutting over the plate, in hopes that will stop the pitch from running into barrels. 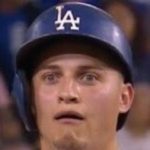 It’s definitely understandable that the Dodgers don’t want to part with players they feel could probably start for them later this year or next year, but it seems worth it to surrender a raw pitcher in A-ball to fill the only weakness on the team for the next year or two. Then again, I wouldn’t read a ton into it. This is a front office that said Dee Gordon was not getting traded and then traded him like literally hours later.